The news that, behind our backs,the team that signed us up to the greatest betrayal of this nation by its own government since federation –the Paris Agreement on climate change– has been secretly co-authoring a “compact” that will rob Australia of its sovereignty and border security is beyond belief. Yet that is what has been happening: the Global Compact for Immigration is officially in the works. It will hand ultimate control of our borders to UN mandarins. This Global Compact on Migration issue won’t go away. Let’s explore where this has come from. Who is responsible? Has the Government been found out? We’ve now got our own Brexit. Energy policy determined by Paris and now a global compact on migration which the Turnbull Government has co-authored. This is exactly the reason why Turncoat knifed Abbott. 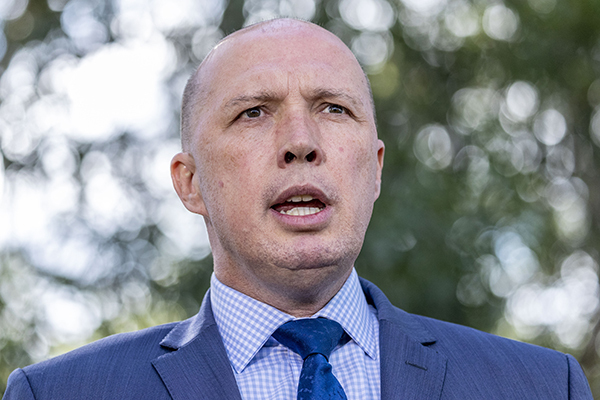 The Immigration Minister insists Australia will not sign a global migration deal… in its current form. The government has been involved in authoring the Global Compact for Migration, signed by every UN member state except for the US and Mexico. Agreeing to it could force a revision of the Coalition’s successful border protection laws that have stopped boats arriving on our shores. Minister Peter Dutton tells Alan Jones, “it’s not going to happen for our country”, but refused to rule out negotiating terms. Dutton: “Not in its current form. We’ve been very clear about that. Previous PostAustralian No Go Zone: Lauren Southern proves Lakemba is conquered landNext PostEurope turning into EUrabia fast…. But but but …“unelected bodies” are exactly who will dictate to Australia if you sign this in ANY form. Australia WILL lose its sovereignty if any “compact” or “agreement” is signed, even if not officially carrying force of law…This is how UN Agenda 21 came to shape the world in its image—not a law, a set of “principles” and global “agreements” controlled by globalists to de-industrialize and depopulate the world in the name of “sustainability” and “human rights”. It is corrupt but has shaped policy for 25 years. • The Australian “authorities” have NOT STOPPED importing invader islams AND have NOT REVERSED the residency of ( ie. EXPELLED ) the islams already here ! • The Australian “authorities” have NOT STOPPED importing diversifier criminal African tribals AND have NOT REVERSED the residency of ( ie.EXPELLED ) the diversifiers already here ! Will Continue … unless these criminal “authorities” are removed and permanently incarcerated !!! So Australia’s “authorities” DO PLAN on surrender our sovereignty ! So Australia’s “authorities” DO PLAN on allowing unelected bodies to dictate to us, to the Australian people ! Avoid the futility of complaining to our elected and appointed authorities … !!! Better – Permanently Remove these Treasonous politicians bureaucrats judiciary and (w)academics from their positions of socialist marxist infiltrated “authority” !! !